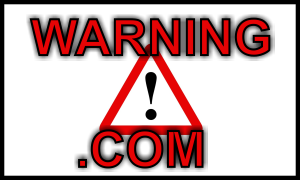 WARNING: .COM registration scam run by "Domain Register Pty Ltd"
Holders of the .COM.AU domain names should be mindful of “Domain Register PTY Ltd”, a company likely to run a scam operation, pressing domain registrants to apply for the .COM versions of their existing .COM.AU domain names. It was brought to the attention of Web Solutions Support Team that domain registration scam is currently being run by the “Domain Register Pty Ltd” (ABN: 127506807), a company registered in Western Australia (WE), despite having a Melbourne VIC office address listed. This scam is likely to be another fraudulent activity operated by the same group. This organisation is sending out invoices requesting payment for domain registration of a .COM equivalent of their .COM.AU domains. The invoice is misleading, urging customers to pay $249 AUD in registration fee for 2 years of the .COM version of their .COM.AU license, despite claiming that the domain in question is available. This group obtained postal addresses of ACN/ABN owners of the .COM.AU domains by searching the public WHOIS database for .AU domains. Then, the ACN/ABN details were used to search for the postal address information via other resources widely available on the Internet. Web Solutions would like to strongly warn customers against registering the .COM domain equivalents or any domain names with Domain Register Pty Ltd. The individuals running this company are believed to be connected with the original scammers who operated a fictitious company Netregister set up to confuse clients into transferring their domains and services away for much higher fees.